Now here’s a cult I might join: a place where bacon is revered and cooked tenderly to a delicious crisp. Builder Rifiröfi has an active imagination and the building chops to really bring home the bacon. 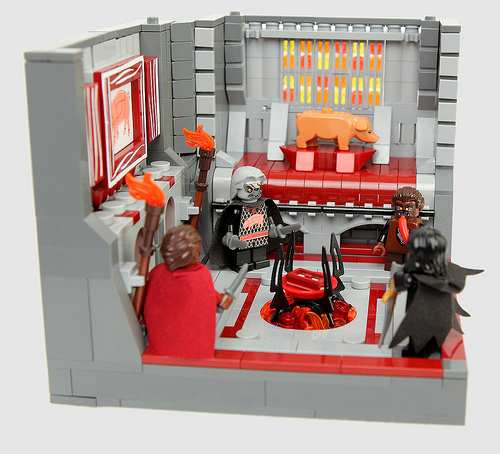 This MOC was built for the “Lands of Classic Castle” (LCC) project over at . For those interested in the LCC project, check out our and the LCC forum .